The US land rig count is forecast to increase to 575 by year-end and to approximately 800 by end of 2017. The Permian’s breakeven costs remain lower than any other US land play, with profitability possible at oil prices as low as $29/bbl in some parts of the basin. Optimism is growing for a market upturn, with drilling contractors continuing investments in mud pump upgrades, walking systems, new rig designs and modular rig controls. Low oil prices may be leaving the global drilling industry cold, but right now the Permian Basin is red hot. It’s so hot that people are calling it the “Permian Panic” – companies are rushing to snap up acreage because it is considered the lowest-cost US tight oil play with the best producing rock in North America. “The Permian is the key of all the tight oil plays,” said Skip York, VP Integrated Energy at Wood Mackenzie. The firm estimates that approximately a quarter of global oil and gas mergers and acquisitions (M&A) this year have taken place in the Permian. E&P companies of all shapes and sizes are being drawn to the Permian, from supermajors to established independents to tiny startup companies. 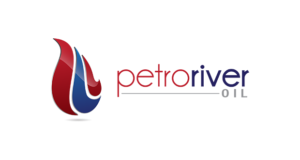 The result is that the Permian has garnered the largest rig count increase in North America in the past six months – from 132 in April to 203 as of 7 October, according to Baker Hughes. By year-end 2017, Barclays expects the Permian rig count to grow to approximately 275. Rig counts are also expected to rise across the US plays. Total US land count was sitting at 500 as of 7 October, but Barclays says that could increase to 575 by year-end 2016 and to 800 by year-end 2017. “If we are right, I think you will start to see pricing pick up for rigs and services by mid-2017,” said David Anderson, Senior Research Analyst, Oilfield Services at Barclays. Not too surprisingly, the vast majority of rigs that will go back to work – 75% to 80% – are expected to be the newer, high-spec horizontal AC rigs. 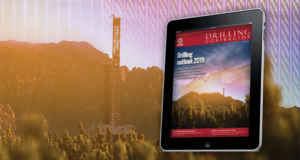 “Those will be the dominant rigs because they are the ones that have the capabilities to very effectively and efficiently drill shale wells,” said James West, Senior Managing Director at investment bank Evercore ISI. He believes that average dayrates for AC land rigs could rise to approximately $18,000/day by Q4 2017, up from the $15,000 to $16,000 now. However, that’s dependent on the rig count reaching at least 700, he added. There will still be markets for SCR rigs, as well, but demand is likely to be quite minimal for mechanical rigs, according to Mr West. Scandrill’s Scan Vision rig is working for Anadarko in the Permian Basin. The 1,500-hp AC rig was recently upgraded and includes a multidirectional walking system for pad drilling that has a total lift capacity of 2.4 million lb. Scandrill plans to eventually update its whole fleet with AC kits. 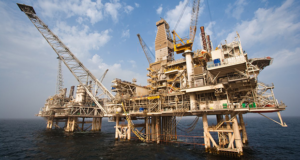 All of the company’s remaining SCR rigs have been fitted with 7,500-psi, 1,600-hp mud pumps. There’s good reason that companies are flocking to the almost century-old Permian: New discoveries remain abundant. 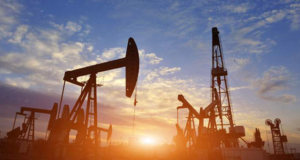 The most notable recently has been Apache’s 7 September announcement of the giant Alpine High discovery in West Texas, estimated to hold at least 2 billion barrels of oil. Drilling plans have not been released, but acreage retention requirements in the area suggest the company will need to drill 60-80 wells per year. That would require four to five rigs annually, Apache told DC. The company has so far secured 352,000 acres across the play. Pioneer Natural Resources CEO Scott Sheffield called the Permian “the future of US shale” at the Deloitte Oil & Gas Conference on 21 September in Houston. 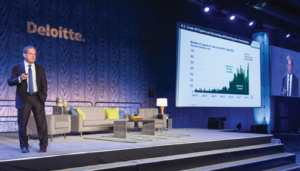 Photo Courtesy of Deloitte. The Permian’s superior economics are not attracting just the traditional players but also new startup operators. 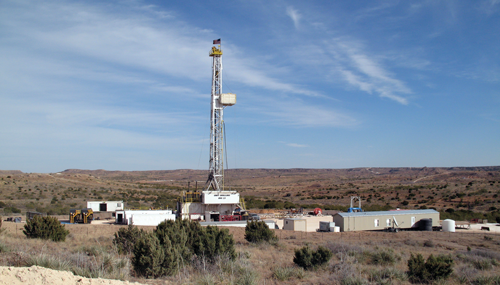 One example is Houston-based Fortuna Resources, which was established in January and has acquired approximately 8,000 acres in the Permian’s Delaware Basin. “It’s just a matter of finding the right opportunities that meet our economic thresholds,” said Dr Youness El Fadili, Co-Founder and Executive Vice President of Operations at Fortuna. 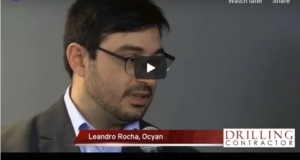 Dr El Fadili and his co-founders left Occidental Petroleum at the end of 2015 to start the company, along with another friend who had worked for another oil and gas company. Fortuna has a private equity commitment of $75 million with an option to increase to $150 million. So far, the company has acquired five wells, of which one is an uncompleted horizontal well in the Delaware Basin. The company plans to complete this well in the near term and to drill two horizontal wells in 2017. Barclays expects the market to recover from the current downturn at a slower pace than from the 2008-09 and 1997-98 cycles. The firm projects 575 land rigs will be working in the US by end of 2016 and 800 by the end of 2017. 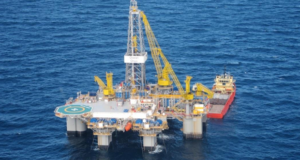 Dr El Fadili says Fortuna will likely need just one rig next year and will consider contracting it on a well-by-well basis. The company is also looking into rig-sharing agreements. “It would probably be in conjunction with other small operators that are drilling in our neighborhood, trying to keep that one rig busy between us,” he said. 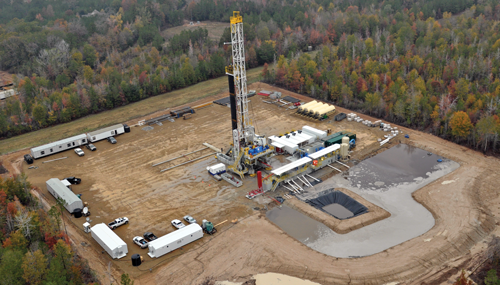 Unit Drilling Company’s Rig 23 drills a vertical well for Texakoma in Roberts County, Texas, in December 2013. Texakoma’s largest assets are currently within Roberts County in the Texas Panhandle. 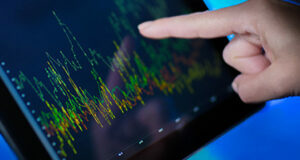 However, the company also operates in South Texas and is considering moving into the Permian. Photo Courtesy of Texakoma. Although demand for mechanical rigs is shrinking, they still fill a niche market for operators who are focused on vertical drilling. “We do a lot of work with mechanical rigs, simply because they’re much cheaper than an electric rig or an AC rig with a top drive,” said Keith Arnold, Senior Drilling Engineer at Texakoma, a private Dallas-based oil and gas company. Founded in 1982, the company has operated in Utah, Pennsylvania, New Mexico, Texas, Oklahoma, Louisiana, Mississippi and Colorado. 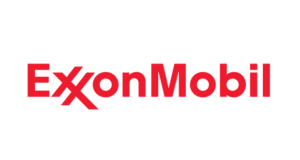 The company’s largest assets are currently within Roberts County in the Texas Panhandle, although the company also operates in South Texas and is considering moving to the Permian, as well. Texakoma does prefer modern AC rigs with top drives and 1,500-hp mud pumps because they reduce safety risks and nonproductive time, Mr Arnold said. But that’s not always possible for smaller companies. 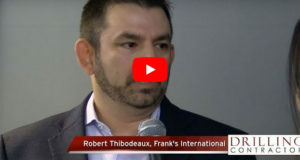 “As an operator, I’m always going to try for the best technology I can get, but when I get the cost, I have to determine what will actually fit our wells effectively and efficiently,” he said. Nabors has delivered 50 PACE-X rigs since 2014. The company sees a need for improved rig designs that can better deal with the increasingly complex multiwell pad arrays. 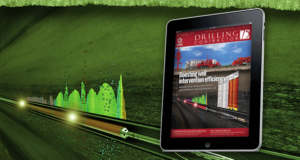 “The fact is most of our wells can be drilled with conventional vertical rigs. Focusing on vertical wells reduces your capital requirements significantly.” He estimates that horizontal wells can cost as much as three times that of a vertical well. Besides higher-spec rigs, horizontal wells also require extra services, such as directional drilling and hydraulic fracturing. Texakoma has drilled four wells so far this year – one horizontal well in the western Anadarko Basin, one vertical well in the Eastern Shelf Basin and two vertical wells in the Matagorda County area, southwest of Houston. The company is planning on drilling two more vertical wells before year-end. Looking to 2017, Mr Arnold said Texakoma tentatively plans to drill six vertical wells, likely in the Texas Panhandle and near the South Texas Gulf Coast. However, the company is also considering drilling two to three wells in the Permian – perhaps a combination of vertical, horizontal or deviated wells. These could be in 2017 or 2018. “It is a hot spot of activity right now where the cost to drill wells is a little bit cheaper than it is elsewhere in the US,” Mr Arnold said. 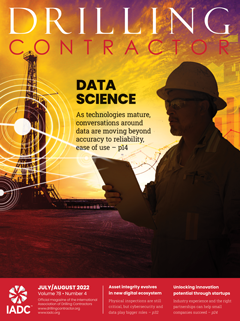 For drilling contractors looking to position themselves for the next upturn, rig upgrades have been an important component of their preparation work. Scandrill, for example, continues to aggressively upgrade its fleet, all but one of which are SCR rigs. “The legacy-style rigs with the box-on-box substructure are highly upgradable,” Scandrill President and COO Paul Mosvold said. However, during this current downturn, because most of Scandrill’s rigs are still SCR-type rigs, the company has been able to offer them at a slight discount. Mr Mosvold pointed out that key customers have said the SCR rigs are performing equally or better than some late model AC rigs, however. The company currently has a fleet utilization rate of approximately 90%, and Mr Mosvold said he expects that rate to increase to 100% in 2017 after selling its final mechanical rig. Eight of the company’s rigs are operating in the Permian and Delaware Basins, while five are operating in the Ark-La-Tex Region focusing on the Haynesville and Cotton Valley formations. Most rigs are working on a short-term contract basis. But if the operator is satisfied with the rig’s performance, they will most likely continue the operation. For instance, Scandrill has had rigs running for operators like XTO Energy, Anadarko and its legacy companies for decades, according to Mr Mosvold. “We tell our crews that we are only as good as the last well we drilled, and that is a 30-day conversation. If we don’t execute during the last week, we could be replaced next week.” Well-to-well contracts have become common due to the current market situation, but the industry has recently seen a return to term contracts as operators are attempting to lock in lower dayrates before utilization and dayrates both go up, Mr Mosvold said. As some basin plans call for increasing the number of wells per unit, multiwell pad arrays continue to become more complex. 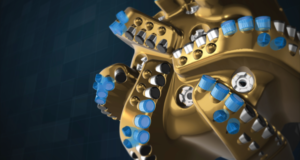 Nabors Drilling Solutions has addressed this with rig designs that enable efficient and flexible movement around the array. 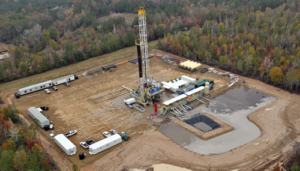 “Through the downturn we continued building new designs and investing in the unconventional Lower 48 technology to operate in a highly efficient way in these basins,” said Joey Husband, Nabors Vice President Global Operations. 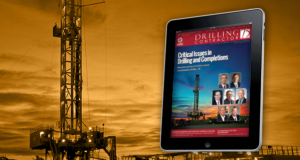 In this environment, the competitive market for higher rig specifications has translated into more pressure on contractors to upgrade their rig fleets. However, to a large extent, Nabors anticipated higher rig specifications and automation in repeatable US development programs in their active fleet design, Mr Husband said. Therefore, capital upgrades have been limited. Further, he pointed out that the company’s designs are “plug and play” such that the addition of pumps or engines can be done in a matter of hours at relatively low cost, outside the critical path. Nabors’ rigs are going back to work with relatively lower-term commitments, allowing a rebalancing of price as utilization increases. In terms of its active rig count, Nabors saw decreases in the Lower 48, from 183 in Q4 2014 to 66 in December 2015 and down further to 54 rigs as of September 2016. There are also much fewer long-term contracts like the ones contractors used to see – minimum six months up to five years. Now, more contracts are pad-to-pad. 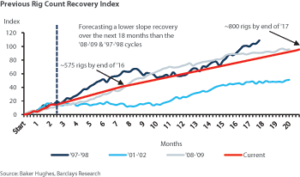 However, optimism for a recovery is growing. 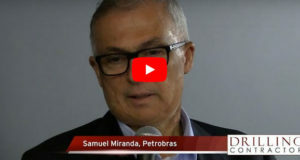 “Depending on the stability of crude prices, I think we can expect moderate volume growth next year, and in Q4 this year we will have more rigs drilling than we do currently in September,” Mr Husband said. In particular, the Permian has been doing well, with Nabors adding four rigs there so far this year for a total of 14 active rigs. “Compared to some other US plays, this basin is less expensive to drill.” Places like the Utica, Marcellus and Bakken have higher break-even crude prices compared with the Permian, due to mid-stream infrastructure and regulatory differences. 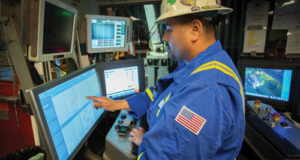 To help further lower costs as wells become more complex, this year Nabors is completing the installation of its proprietary Rigtelligent modular rig controls on its US fleet, enabling new performance features that simultaneously improve directional performance and penetration rates. 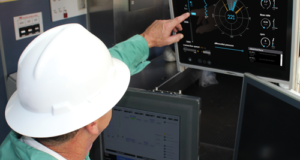 Continuous real-time monitoring and execution by specially trained drillers and remote support teams, and data-driven feedback to rig equipment and controls has been used on 43 wells this year to improve motor yields, enhance well tortuosity and reduce trips per well while simultaneously improving penetration rates. 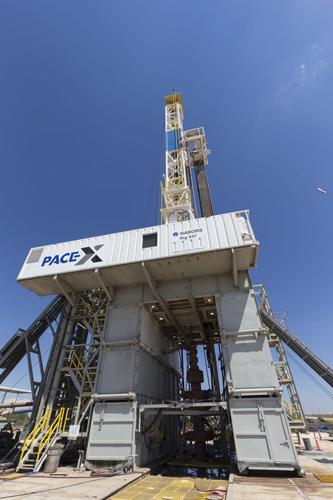 PACE is a registered trademark of Nabors. Rigtelligent is a trademark of Nabors.